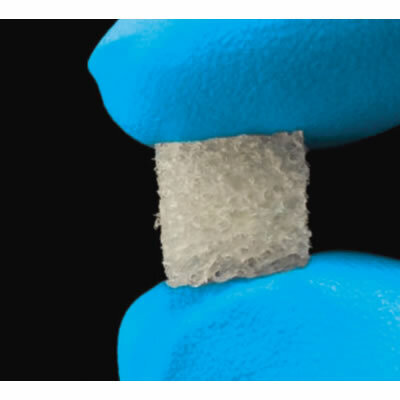 Bacterin OsteoSponge | Curasan, Inc.
Bacterin OsteoSponge block is a novel, cancellous demineralized bone matrix from curasan. Used to reconstruct maxillary or mandi - bular defects, it also assists in regenerating bone tissue. Osteo - Sponge has the malleability and elasticity to be compressed into any void, forming a strong biological scaffold and promoting osteointegration. It expands 20-30% percent when hydrated, without losing its original strength or shape.